Electric runs like the 98-yard opening kickoff return for a touchdown in front of 108,000 at Penn State, or the 95-yard score at home against Northwestern, or the touchdown catches of 53 and 41 yards against Indiana State peppered his college football career. Bryant left Purdue University in 2007 as the school’s career leader in all-purpose yards, setting multiple Big Ten conference records before signing with the Pittsburgh Steelers. Yet just a year later, the playmaker was out of football, walking away from an offer from the Tennessee Titans and reportedly ignoring a call from the Dallas Cowboys. For the first time since childhood, Bryant, who also ran track at Purdue, took a break from sports and focused on himself. Football became an afterthought. 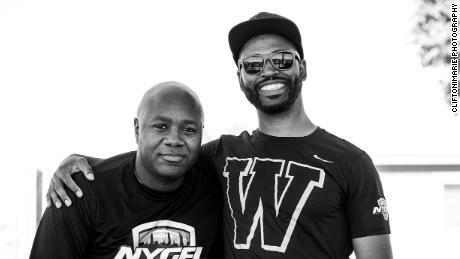 Now Bryant is back in the sport as his true self, featured as the go-to receiver for the 2017 champion New York Warriors at Gay Bowl, the annual tournament of the National Gay Flag Football League. 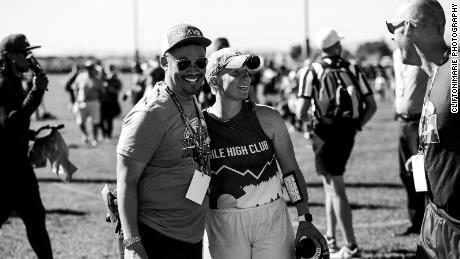 Fifty-seven teams from 22 cities battled it out in 100-degree Denver weather last month, in seven-on-seven matches that provided a remarkable level of athleticism for a recreational league. Bryant is one of at least seven players on the Warriors with college football experience, recruited by teammate Wade Davis, a former Tennessee Titans signee who won an NFL Europe title with the Berlin Thunder. 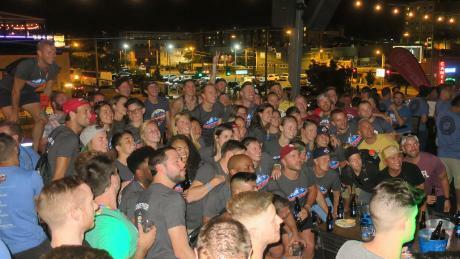 Over the past 18 years Gay Bowl has grown from a three-team tournament played in the dirt field of a Hollywood high school to a three-day event held in rotating cities boasting 35 sponsors, including United Airlines, Fidelity Investments, Sheraton Hotels and UPS. Rosters represent a mix of races, genders and sexual orientations — and welcome straight players, though their numbers are capped by a quota. Everything is well organized, from the shuttle busses, to the singing of the Canadian and American anthems, to referees in striped uniforms who sound a lot like their NFL counterparts. Games are governed by a 57-page rule book, and formed by two 30-minute halves, with tackling replaced by the removal of an opponent’s flag belt. Honolulu, in fact, recently beat out bids from Austin and Toronto for the 2020 games, while New York will host its second Gay Bowl next year. The New England Patriots were sponsors of last year’s Gay Bowl in Boston, with owner Robert Kraft speaking at the closing ceremony. This year the Denver Broncos made a financial contribution and worked with organizers to boost the tournament’s reach. For most of the 1,000 or so participants of Gay Bowl, the long weekend represents a reunion of friends and a celebration of football — the sport they love, which in many ways shaped their lives. “The majority of my friends in DC are in the league,” says James Santos of the Washington Generals, a former Air Force enlistee who would go on to win this tournament playing receiver in his fifth Gay Bowl. 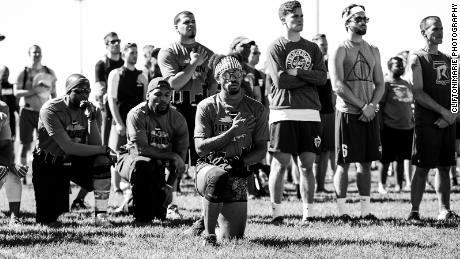 Flag football was also a means for Santos and his sister, who plays in the female league, to come out to their conservative church-going parents from Texas. “These are like everyday people that love sports,” he says, adding that flag football helped dispel damaging stereotypes sometimes associated with the LGBT community. What would do wonders for the perception of gay male athletes, Santos says, is to be represented by a prominent pro. The former Purdue standout wonders how things may have turned out if his shot at the NFL happened now instead of a decade ago. He points to Arizona State University signing openly gay high school football player My-King Johnson as a step forward. It appears that football’s locker room culture — which nearly drove former Patriots offensive lineman Ryan O’Callaghan to suicide before coming out — must evolve for a gay superstar to emerge. Bryant’s Warriors teammate, former San Diego State strong safety Shaun Rogers, says his personal life took a backseat until his athletic scholarship ended. “Playing football is always like, how is my team going to respond? How is everyone going to respond?” says the 35-year-old brand innovator with heavily inked arms. “I don’t want nobody to feel uncomfortable about the situation, so I kind of just suppressed it,” he adds. “After college, I just became more open with it. Alongside Bryant, Davis and Rogers are Stephan Benjamin, a 6-foot 4-inch, 211-pound former wide receiver at American International College, captain Preston Roberts Jr. from Wooster Polytechnic, and quarterback Chris Allison from Columbia University. Gelling with the LGBTQ league’s ethos of inclusion, Roberts and Allison are two of the Warriors’ five allotted straight players, with no more than three allowed on the field at once. Both prefer to play in New York’s gay flag football league, rather than the ragtag games they were a part of in the city. “I can’t think of a straight league that is on this level doing this type of stuff,” says Roberts. Roberts says joining the New York Gay Football League — which welcomes “straight allies” on its website — was by way of an understanding with Davis. It’s the opening morning of Gay Bowl XVIII and players on the vast green field on the outskirts of Denver are slow to get into a rhythm. Maybe a few too many carried on at the welcoming rooftop party the night before. Bryant, who doubles as a personal trainer for budding college prospects and a bartender in New York, is used to playing on little sleep. “I get off work on Saturday at like 5 a.m. and we’ll practice at like 9 a.m.,” he says. Boasting a considerable size advantage, the Warriors dispose of their opponents convincingly. If anyone on the field is keeping track of which three straight players are playing for each team, it isn’t apparent. Enforcement has always been based on an honor system, and by all accounts it works. Playing in his fourth Gay Bowl, the former Ivy Leaguer Allison is one of several straight quarterbacks in the league, because — just like in the NFL — good flag football quarterbacks are hard to find. “People policed themselves.” Besides, “there was no way we could really test for it,” he says. Joe Cooper of the Denver Summit, who was honored by the league as a Hall of Fame inductee this year, sums up the consensus. Not to be outdone, women have featured prominently at the Gay Bowl since their inclusion seven years ago. New to the city after finishing her tour with the Army, Rollins found flag football “all encompassing,” and even met her wife through the league. Before she transitioned to life as a woman, Kaylee Parker played wide receiver at South View High School in North Carolina, battling several top college prospects in the state. 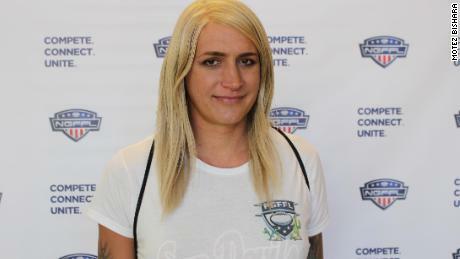 The 38-year-old mechanical engineer moved to Phoenix in 2015 and began living full time as a woman, but missed the competition. Coming from a Phoenix league that is open to all genders, Parker’s gender identity has not been an issue. But the Fahrenheit’s team captain and quarterback admits she has received some resistance as a trans athlete competing in the women’s division of Gay Bowl. Perhaps the game is less physical than tackle football, but it certainly can be rough. One Warriors player is examined for a possible torn tendon in his knee after the team’s very first game, while an LA Express player grumbles to Bryant that he lost a toenail in a collision. Bryant — who at 33 still sports a six-pack and the unmistakable frame of a pro athlete — admits he was at first taken aback by the level of play in the league, then checked himself. Was he stereotyping too? “You know what, you are kind of (surprised) at first,” he says. “But then when you step back and think about it, why? Why are we surprised?